Four years ago, I visited Jardin Botanico, Medellin’s botanical gardens, for the first time. Ever since, I’ve been aware of In Situ, a fine dining restaurant on the garden grounds, yet I refrained from eating there while waiting for the right company to enjoy it with. During my brief visit last August, I gave up on the right moment, and went solo for lunch. In reality, dining alone is a practice I’ve gotten all to use to the last five years. At In Situ, I didn’t mind. The restaurant exceeded my expectations in terms of ambience, food quality, and service. I wish I’d taken the leap a lot sooner. 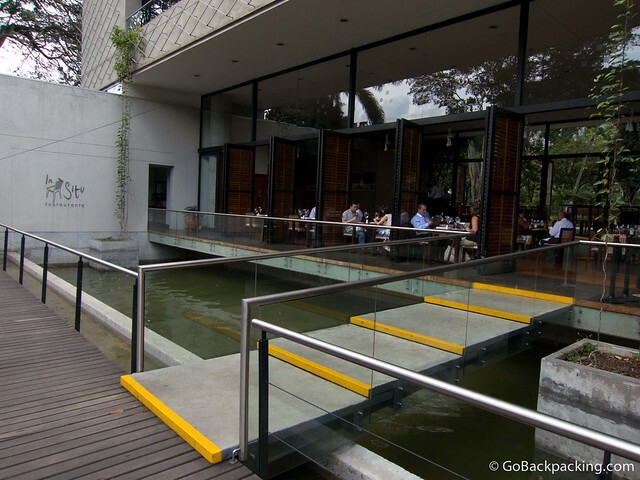 I approach the restaurant via the front entrance, which features a small bridge over a shallow pool of water. I was feeling relaxed already. The first thing I noticed upon entering the restaurant was the open air atmosphere. There were no windows to speak of, just large folding shutters that allowed an openness to the space I found very appealing. 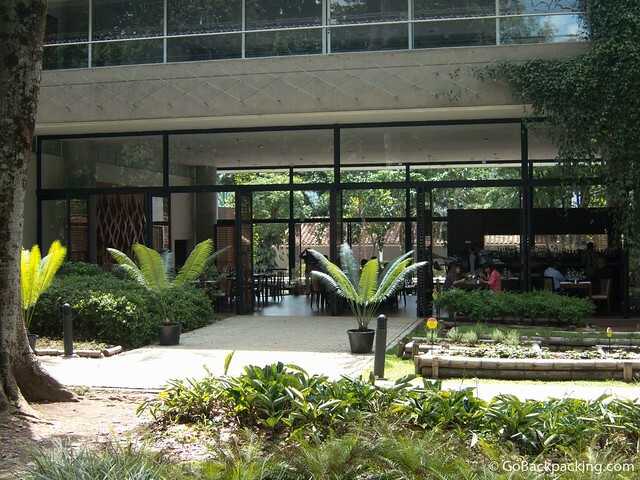 After all, we were in the midst of the botanical gardens, one of the few truly tranquil spaces in the entire city. 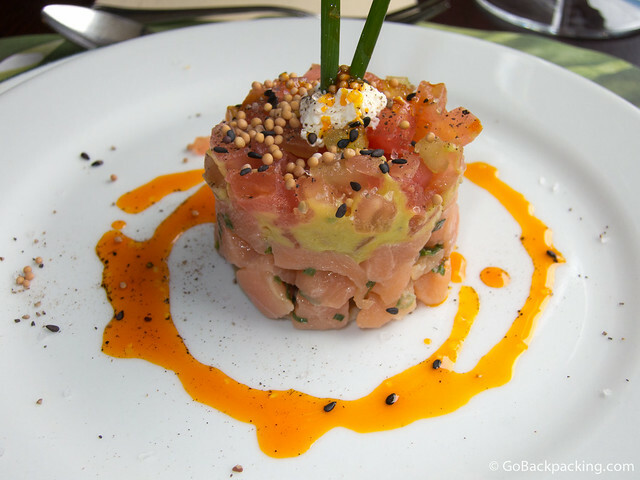 For starters, I ordered the generously sized salmon tartare (18,000 pesos, $10), which was beautifully presented. More importantly, the salmon both looked and tasted fresh. It was a delicious beginning. Other cold appetizers, which were tempting, included tuna carpaccio and shrimp and green mango ceviche. Curiosity also had me considering the beef tongue ceviche. The menu also featured a variety of soups and salads, including cream of prawns and almonds, which I may have to get next time. 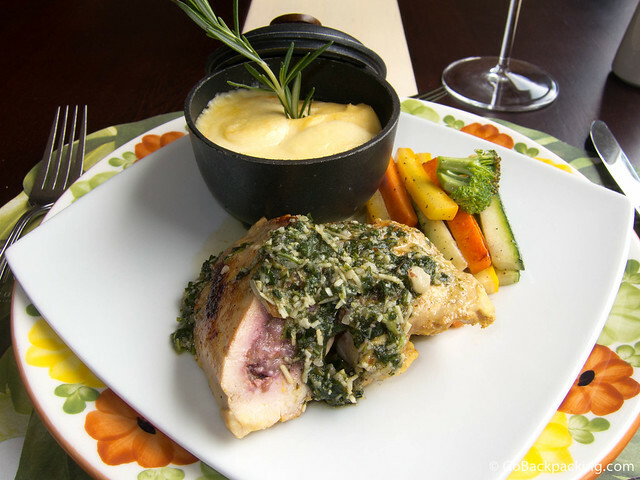 For my main course, I chose In Situ’s chicken breast, which was stuffed with wild berries, and covered in the Jardin’s pesto sauce (26,500 pesos, $15). It was served alongside creamy polenta in “an Imusa Spanish-type stew pot” and mixed vegetables. This chicken dish was a first for me, and it was absolutely fantastic. Who’d have thought to stuff a chicken breast with a reduction of mixed berries? And once again, is perfectly presented. At this point, I was feeling full, but I had to go for broke. I was two for two on dishes, and that offered me excellent odds that dessert would be fantastic too. 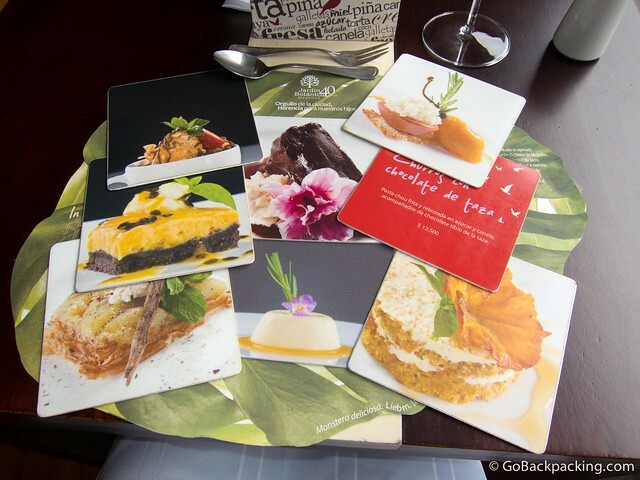 When I asked for the dessert menu, I was presented with a box of large cards, each of which featured a photo of the dessert on one side, and a description and price on the other. I liked the playfulness with which they approached desserts, and there were more than a few options that caught my eye. I opted for my favorite, chocolate (12,000 pesos, $7). I always appreciate a restaurant’s attention to detail, and the dessert course delivered. 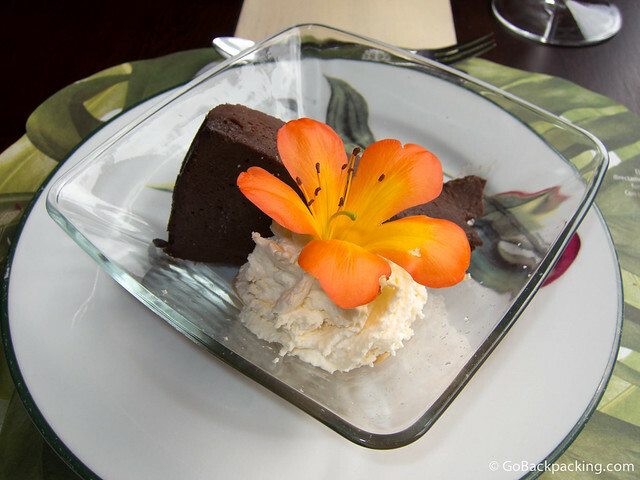 Arriving with a fresh orange flower blossom atop fresh cream, my chocolate tort was divine. I’ll go a step further, and say it’s the single best dessert I’ve had in Medellin (excluding those at Me Late Chocolate Cafe). By this point, all I could do was pay my bill, and waddle out of the restaurant through the rear entrance, and try to walk off some of the calories I just consumed. Excellent food and atmosphere aren’t enough to impress me. The service has to be on par too, and that’s exactly what I found at In Situ. 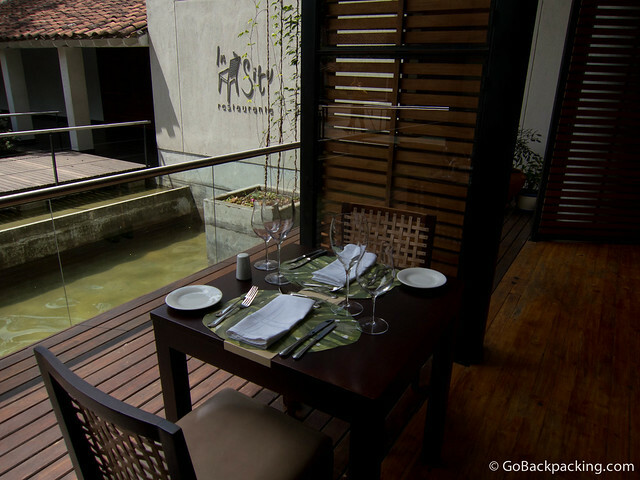 Along with El Cielo and Carmen, it’s one of my top three restaurants in Medellin.